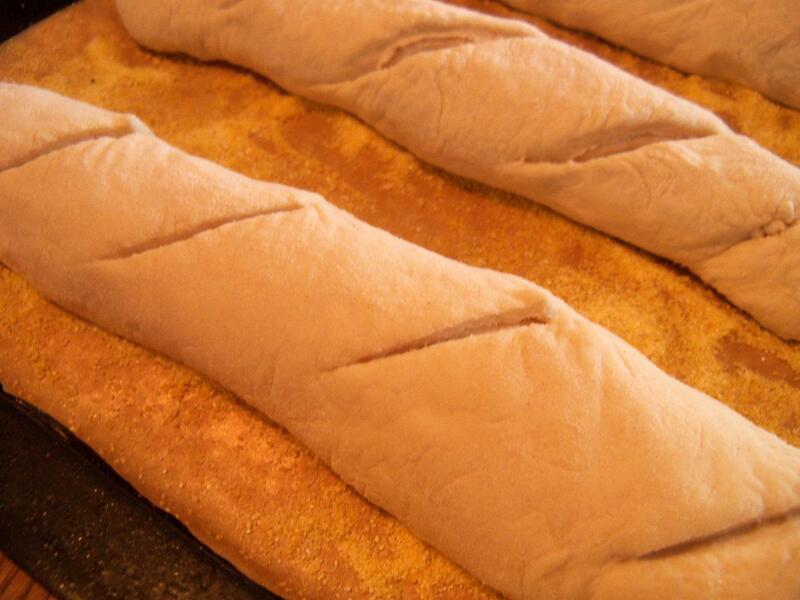 A saturday in the kitchen : French Bread. Saturday was quite lovely, the sun was shining out and for the first time in quite a while, it was real California weather. I had no plans, and while thinking about what I was to spend my day doing I realized I hadn’t made bread in at least a month and a half…this was far too long for a baker! 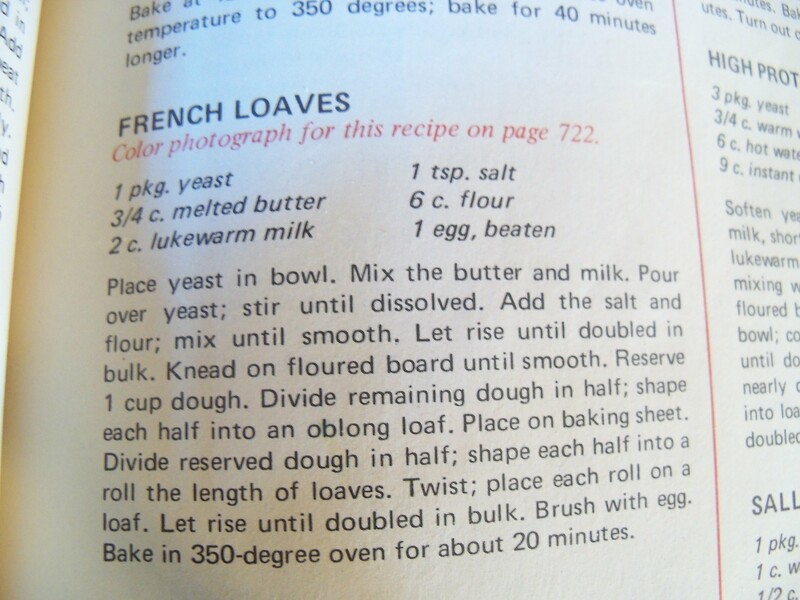 I got out the “American Cooking” cook book and decided to make French bread. 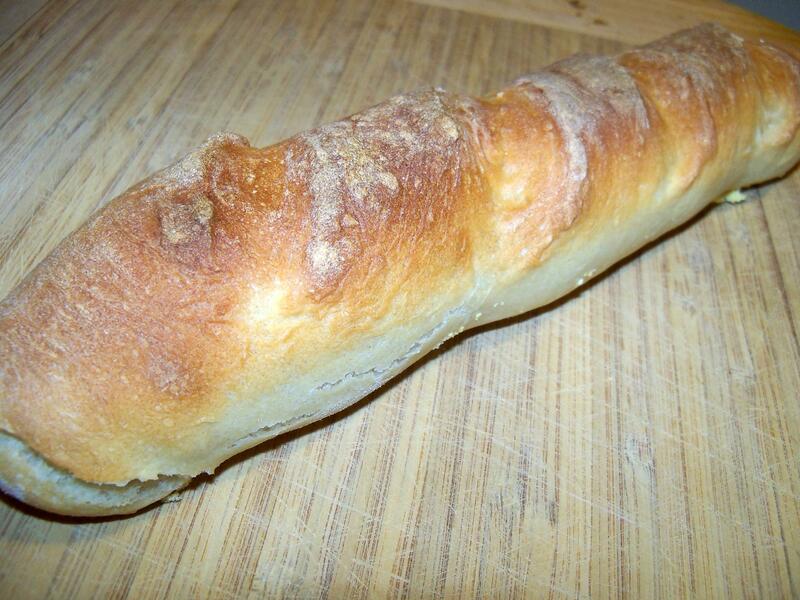 French bread is so much fun to make, so simple! Six ingredients and that is it. 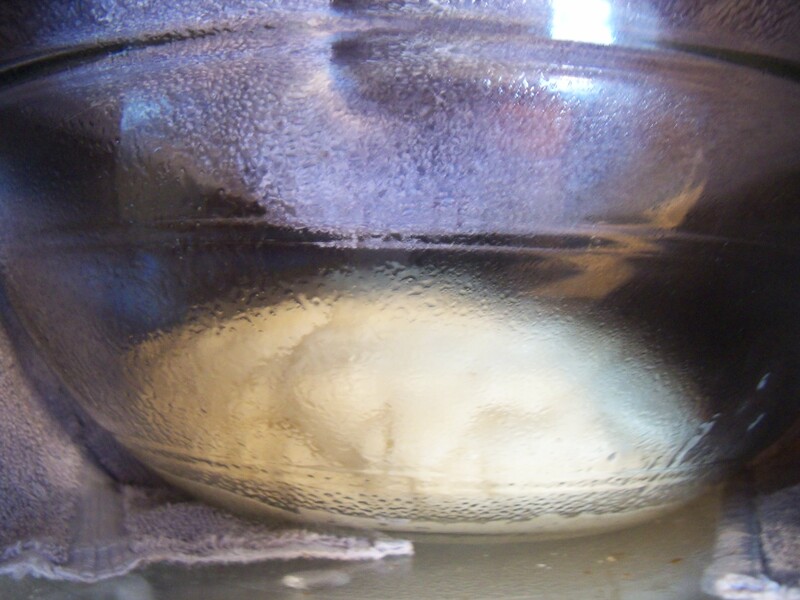 The recipe is pretty simple, you start by dissolving the yeast in warm water (around 105-115) no warmer no cooler! You don’t want to kill the yeast but you need it to activate. Then you add the sugar and (I personally always wait to add the salt till I start adding the last of the flour) just because salt can kill yeast and I’m paranoid…I have found that with this recipe 4 cups of flour works much better than 4 1/2 cups. 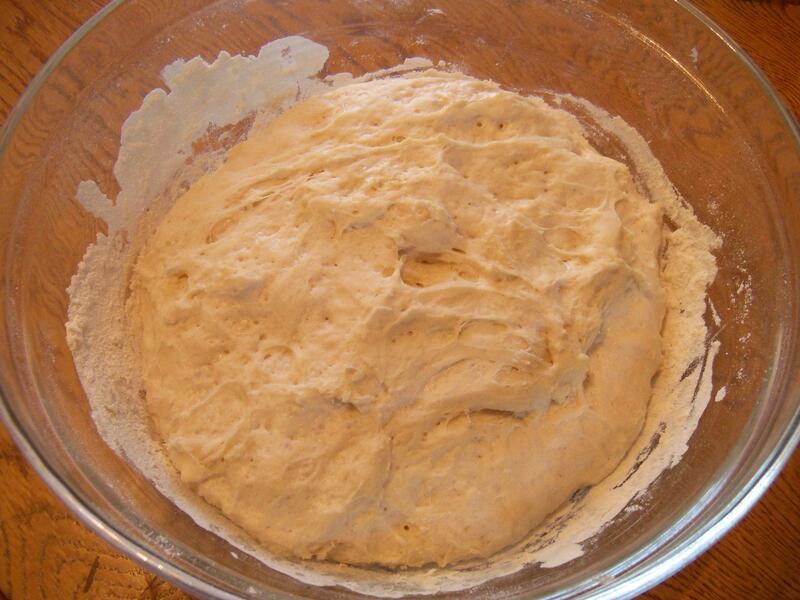 With this recipe you don’t knead the dough before letting it rise or put the dough in a clean greased bowl to rise, you leave the dough in the original bowl. 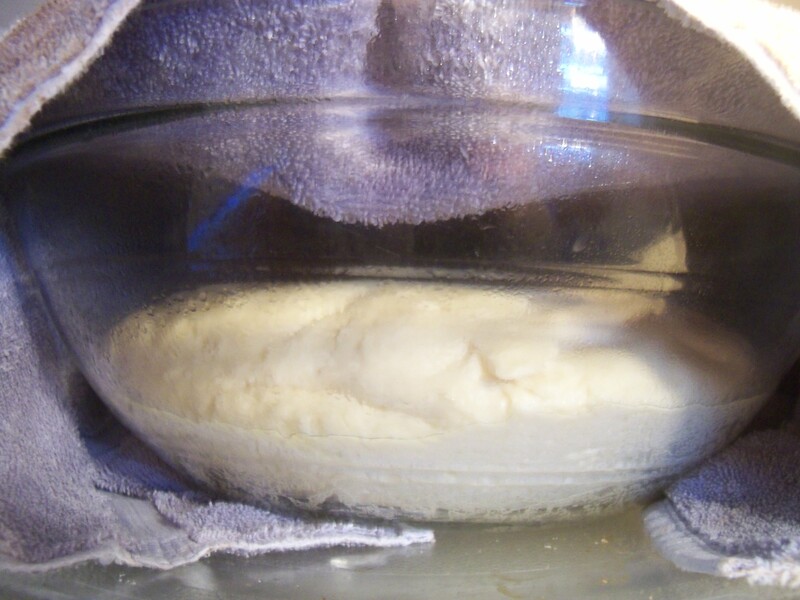 Before I leave my dough to rise in the microwave (that’s just where I’ve always let mine rise) I always let the microwave run for two minutes and then put the dough in, this helps the dough rise faster and in most cases cuts the rising time in half! 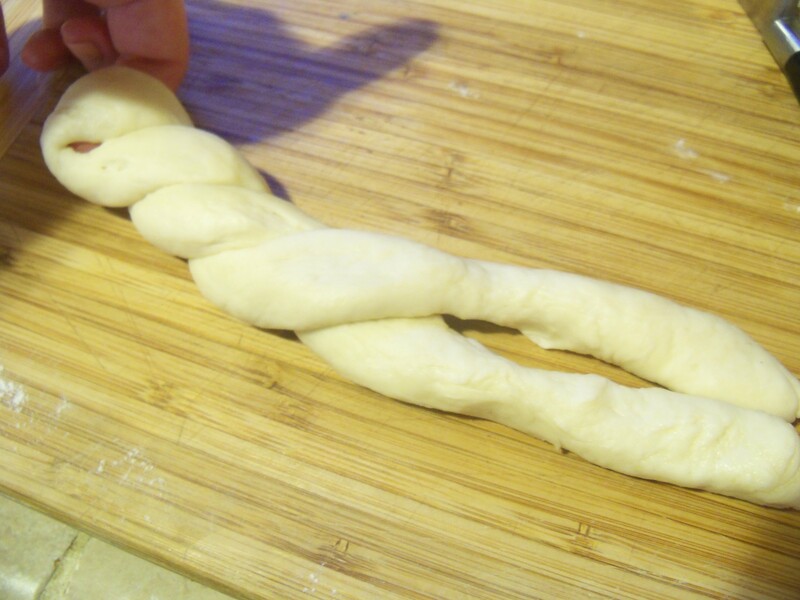 After the dough has risen get a large cutting board or clean surface and lightly flour it, then cut the dough in half and take on half and start rolling it out to a rectangle at the shape of 10 inches by 14. 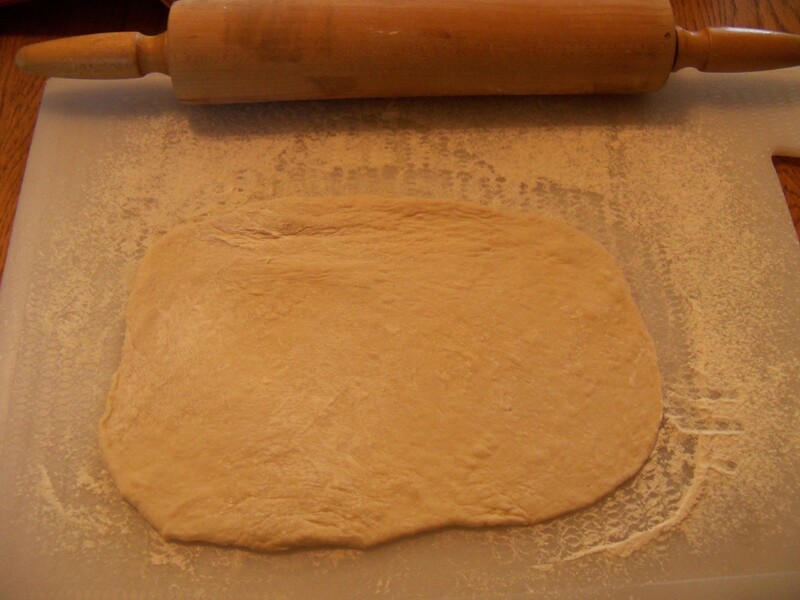 Then start rolling the dough from the broadest side and pinch the dough together, then start shaping the dough in to an 18 inch long loaf and place on a prepared pan that is greased and lightly covered with corn meal. Repeat with the next piece of dough. Take a knife and slash the bread four times. 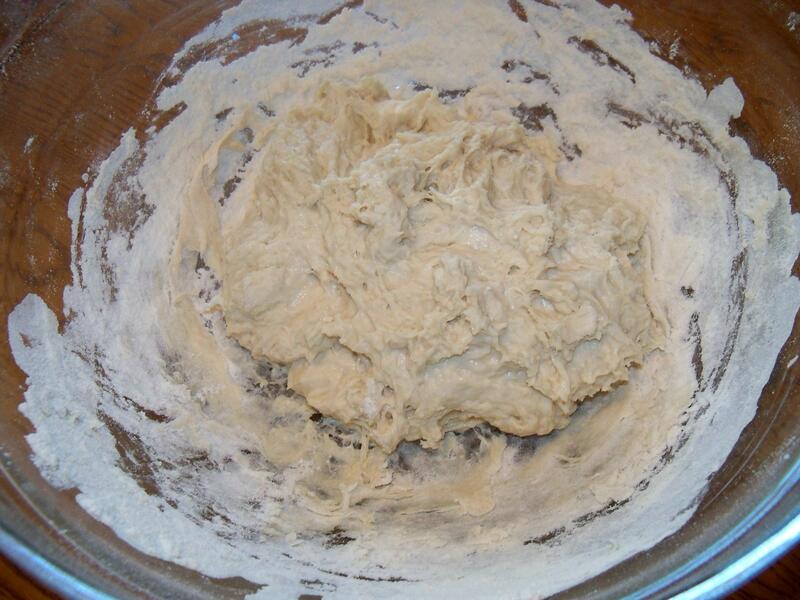 Then cover the dough with a towel and let rise in a warm spot till doubled in size. After the dough has risen again and is finally ready to be baked pre heat the oven to 425 and lightly brush the loaves with ice water. When the oven is ready bake for 10 minutes. Lower the heat to 325, brush with ice water again and let finish baking for 40 minutes. When the bread is done it will be golden, and when tapped on the bottom it will sound hallow. Make sure that the bread is spread out far enough away from each other so that the heat can circulate other wise the bread will bake on top but not on the sides or very middle. When the bread is finished let cool for about 10 minutes and then dig in! 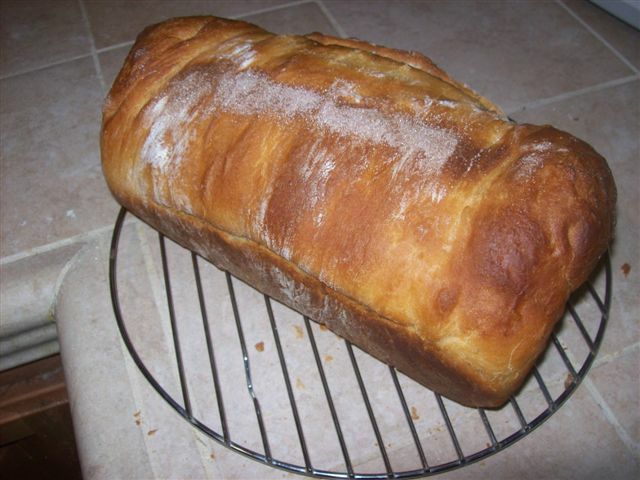 This bread is awesome, I made three small loaves and gave two away to my neighbors. Yesterday I went shopping with my friend, as I was getting ready I grabbed my boots and threw one of them on the bed while I put the other on and a giant spider crawled out of my boot and onto my bed!!!! As I started to scream it ran under my sheets and I couldn’t find it so I called my dad and asked him to bring home one of those bug bomb things. When I arrived home I decided I would spend the day making bread since I was much to terrified to go in my room. Before I started I ran in my room grabbed my thermometer, my american cooking cookbook and my camera..I then (with the help of my dad) covered my computer and radio and printer with towels and set off the bug fogger. With that whole spider scare behind me I headed out to my kitchen and started making bread..now I havent made bread in a few months so I was terribly excited. I looked through my cookery book and chose French Loaves with a twist top, bread that is amazing toasted with honey. Now you set the bread aside and let it rise until doubled in size (about 30 to 50 minutes)..after waiting you beat one egg and brush the bread with it..then you slide the bread in the oven at 350 degrees and bake (the book says 20 but mine takes 30) for 20-30 minutes and then you get this. Allow the bread to cool for at least 20 minutes (if you cut it too soon the bread will dry out) and then enjoy! This bread is beautiful!! 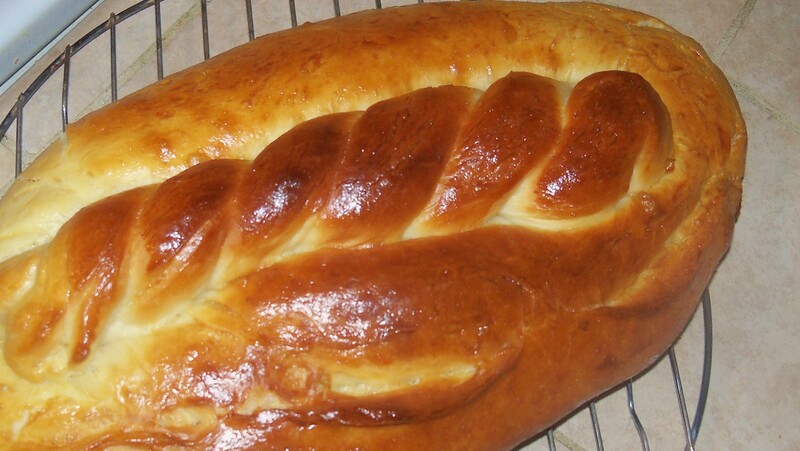 it’s a pretty sweet bread so it doesn’t go well with soups but its amazing with breakfast or as a snack. 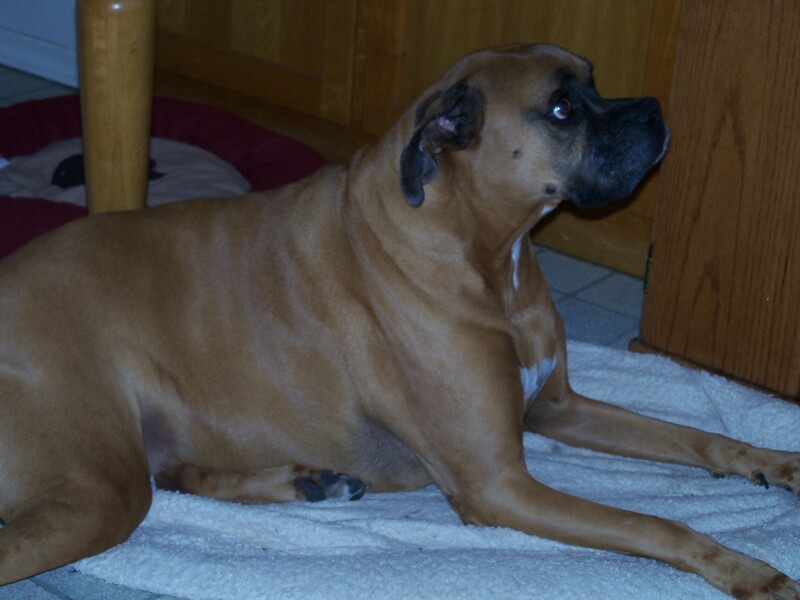 Oh and Daisy..my lovely dog, of course joined me in the kitchen while I made this bread :). I love baking..it is without a doubt my most favorite thing in the world to do..I would rather spend a day baking than anything else..even exploring and I love adventure. 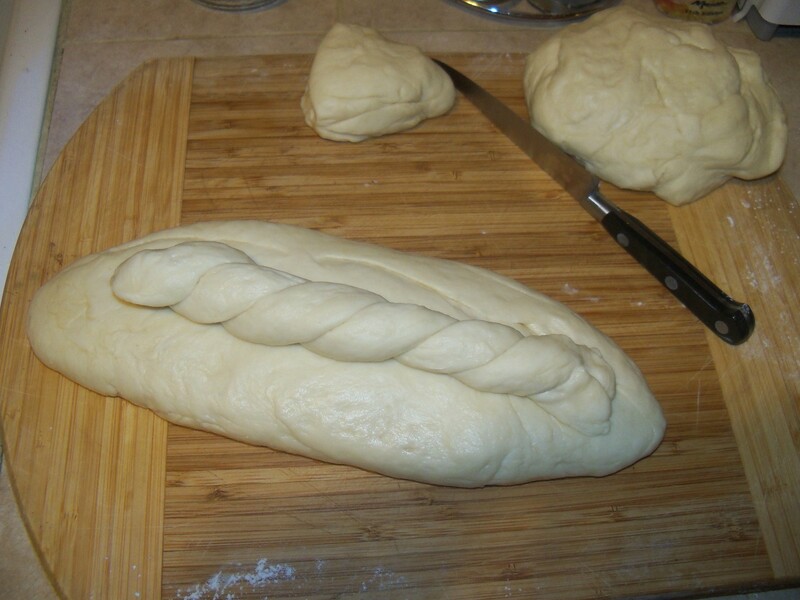 When ever I am asked what my specialty is..or what my favorite thing to bake is I always answer the same….bread. Now..why bread? why not a pastry or a tart or a pie? 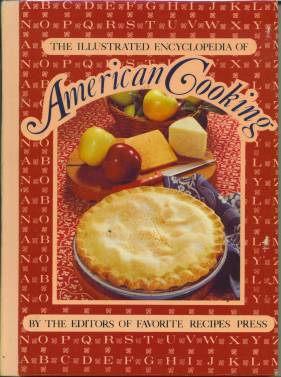 Hands down..the best cook book I own..amazing recipes and the way its organized is ex. Cinnamon then it tells you everything about cinnamon and then it lists recipes with cinnamon. The pictures look super late 60’s or early 70’s and they are kind of shaky but there cool and they make me laugh. 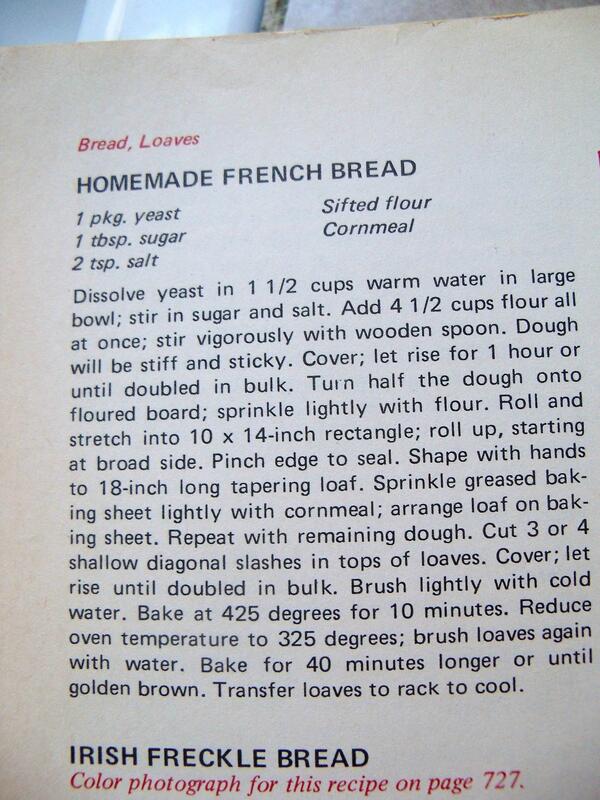 But back to bread..the best thing in that book…the recipes for bread. If you have never had fresh bread..the thing you need to do is set a weekend day aside and bake the day away..you will not regret it, after you make your first loaf of bread what really amazes you is that you made it..you made the crust..YOU made crust! AND then you will become even more amazed when you make a sandwich with your own bread. So take the time and make yourself a loaf of fresh bread..you havnt truly tasted bread until you’ve tasted fresh homemade bread.